IT’S TIME FOR SOME PIRACY! The Bentenmaru can now be yours in this sleek addition to any SPH fleet. 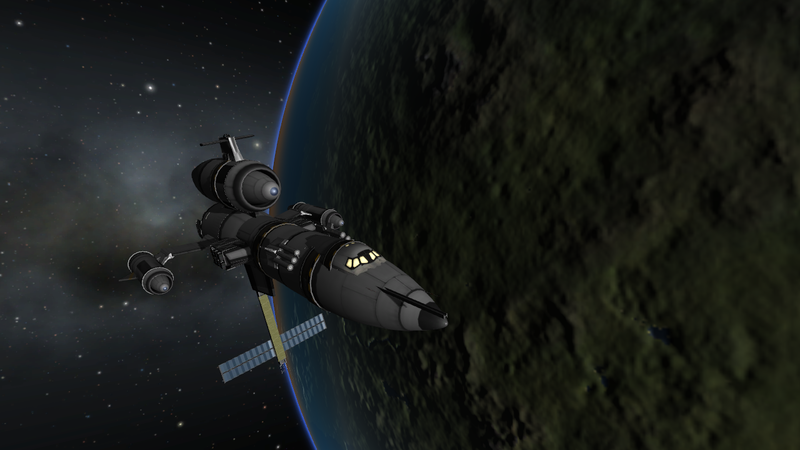 Featuring the use of but one mod, Tweakscale, it is otherwise wholly stock. It maneuvers very quickly due to having several large reaction wheels within its hull, and its seven engines give it a surprising amount of acceleration for its very large size. Be warned, however, that unless you plan on using infinite fuel, this craft is slightly useless.